Hard drive is not the most vital part of a computer. However, for you, a computer user, it may be the most important part to you in your digital life. That's because it contains all data you can't afford to lose - Every paper you have written, every digital photo shot with your family and friends, every music and video file you collected for a long time, all your programs and games. When the hard drive stop working or get accidently erased, to you it is worse than losing your wallet. So hard drive data recovery is necessary, especially dead hard drive data recovery. To recover data from hard drive (as as recover data from damaged hard drive, or recover data from formatted hard drive), tools are needed. Data Recovery and Data Recovery for Mac are two piece of data recovery software based on Windows and Mac platform respectively. 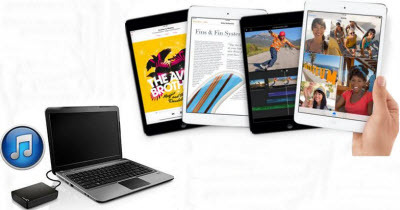 They can recover deleted photos, videos, music and documents from hard drive, external hard drive and other storage media, and recover data from formatted, corrupted, damaged or crashed hard drive as well. See the steps below to see if you can recover lost files from hard drive. It is applicable to recover photos, videos, and documents from external hard drive and flash drive, as well. And you can also try these methods to recover data lost during data transfer. Part I: How to Recover Deleted, Formatted Files from Hard Drive in Windows? Part II: How to Recover Deleted, Formatted Files from Hard Drive on Mac OS X? Part III: How to Recover Lost Files from Corrupted, Damaged or Crashed Hard Drive? Part I: How to Recover Deleted, Formatted Photos, Videos, Files from Hard Drive in Windows? Use another hard drive to install this data recovery software. To restore hard drive or unformat hard drive, you need to choose the types of files you are to restore first. And then select the partition and click "Scan" to scan lost files. Step 2: Preview and Select Lost Videos, Photos, and etc. Raw Recovery mode will takes you several minutes to get the scanning results. After that, all the recoverable files are displayed by file type and format. You can effectively select the lost files you need to recover from hard drive by previewing. Click "Recover". 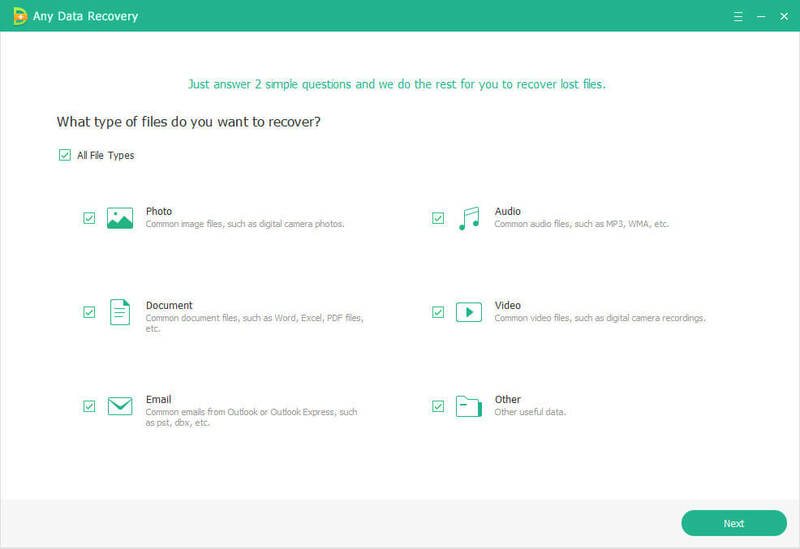 Specify a location to save your recovered files. You are suggested to save them on an external hard drive instead of the hard drive where you lost files. Part II: How to Recover Deleted, Formatted Photos, Videos, Files from Hard Drive on Mac OS X? 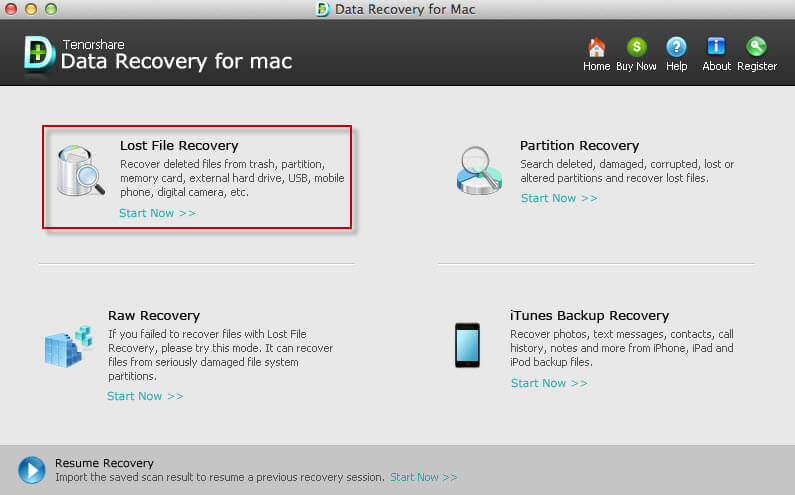 If you need to recover lost data from Mac hard drive, you need to turn to Data Recovery for Mac. Only with 3 steps, you can finish the task. Step 1: Select the recovery mode. It is recommended to choose "RAW Recovery". Step 2: Choose the Mac hard drive where you lost files, and tick the file type. Click "Scan". Step 3: Select the lost photos, videos, music files and other data after previewing. Click "Recover". Step 4: Specify a location to save the recovered files. Sometimes, you boot up your computer and found hard drives stop working, experts says they are either "dead" or "perceived dead". As long as they are not physically damages and they are just logical failure (the components in your drive are still functioning, but the drive is not able to find and navigate its own data due to either accidental formatting or a corrupt file system), your data may be still intact, and you can recover lost data from corrupted, damaged or crashed hard drive. You need to use Data Recovery WinPE can recover lost data from inaccessible Windows by booting up computer from CD/DVD/USB. To do so, you should burn a boot CD/DVD/USB and set CD/DVD/USB as your first boot device first. Then refer to the instructions as Part I to do the rest to recover videos, photos, audios and documents from corrupted, damaged or crashed hard drive.